Delve into an array of international popular cuisine featuring fresh seafood, local Macanese favorites, and more! Indulge in the decadent dessert buffet - there's even a mini Eiffel Tower dessert tower! The price is definitely worth it and there is a wide variety of food. My daughter love their egg tarts and service is not bad. 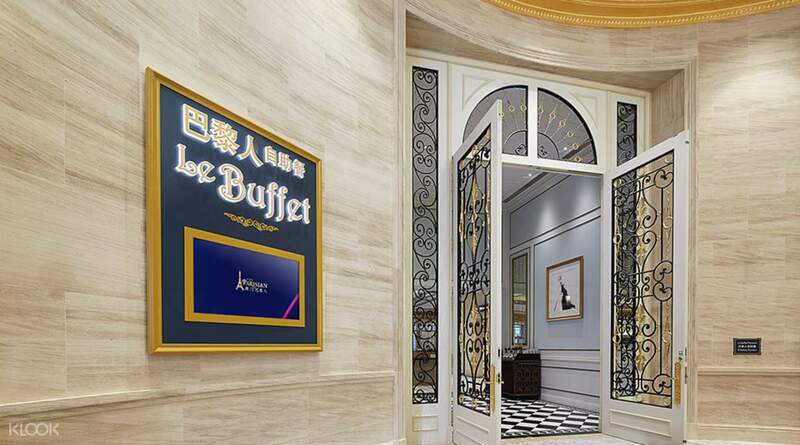 Discover and taste cuisine from all over the world at Le Buffet restaurant in The Parisian Macau - with its muted color palette, high ceilings paired with extravagant chandeliers, as well as the gilded walls, you'll feel like you've escaped the streets of Macau and stepped into a restaurant in the middle of France! 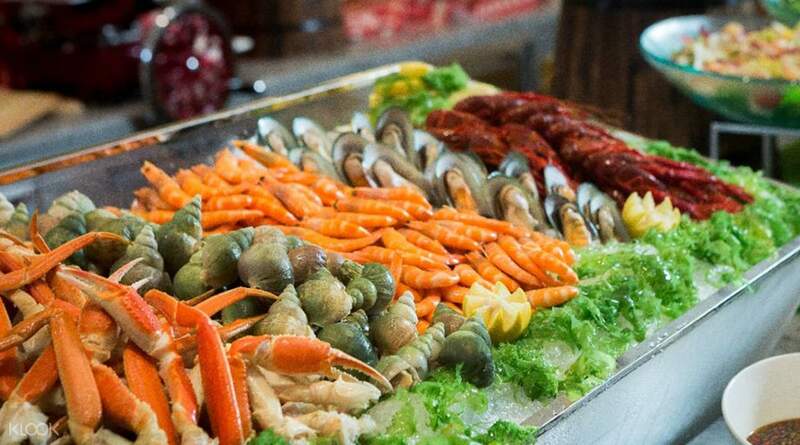 Le Buffet offers a wide variety of dishes that are difficult to find anywhere else: from French delicacies to Eastern fare such as Macanese favorites and traditional Chinese food, this restaurant has it all. Don't miss the European cuisine and watch the chefs beautifully sear a steak and taste the perfectly grilled meat, or maybe go Eastern with some sinfully delicious lobster in hot chili sauce or sushi and sashimi from the seafood table. Make sure to stop by the dessert table at least once: the decadent desserts are definitely a must-try and the mini Eiffel Tower covered with small sweets is too cute too miss! 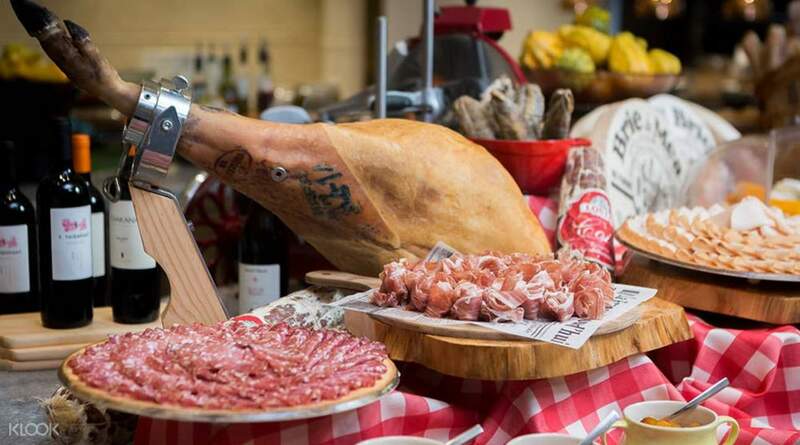 Go for ham or try some of the delicious cured meats like prosciutto! One of the best buffets in Macau. Good choice and wide variety of food on the menu To claim, simply present the voucher from your phone. Make sure to come on time as the allowed time is feom 11am to 1pm, and 1pm to 3pm only. One of the best buffets in Macau. Good choice and wide variety of food on the menu To claim, simply present the voucher from your phone. Make sure to come on time as the allowed time is feom 11am to 1pm, and 1pm to 3pm only. It's my husband birthday, thinking to enjoy a sumptuous feast during our trip in Macau. After compared with few other options and checking their reviews, I decided to book the buffet at Parisian Macau. And indeed it really worth the money and we had a great dining experience on his birthday. The redemption is simple, just show the mobile/printed voucher to staff, we then welcome by the friendly staff and directed us to our seats. Plenty of food choices, including foie gras, lobster, prawns, roasted squab, roasted duck, sashimi etc. It was 31 Oct, hence Halloween desserts were served. Not crowded on a weekday. We enjoyed the buffet very much! It's my husband birthday, thinking to enjoy a sumptuous feast during our trip in Macau. 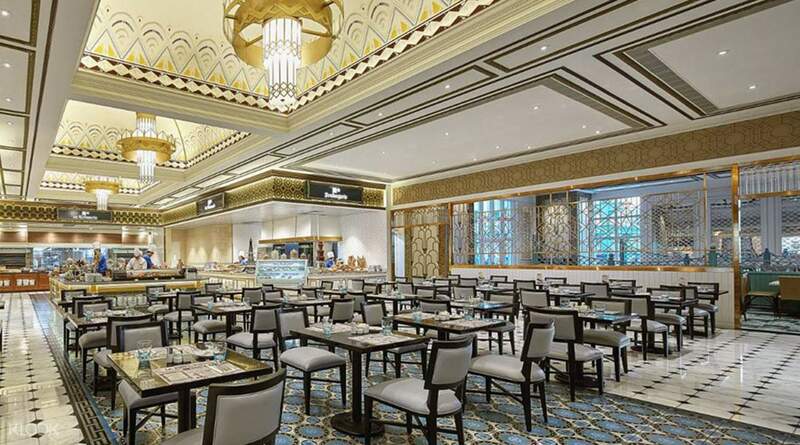 After compared with few other options and checking their reviews, I decided to book the buffet at Parisian Macau. And indeed it really worth the money and we had a great dining experience on his birthday. The redemption is simple, just show the mobile/printed voucher to staff, we then welcome by the friendly staff and directed us to our seats. Plenty of food choices, including foie gras, lobster, prawns, roasted squab, roasted duck, sashimi etc. It was 31 Oct, hence Halloween desserts were served. Not crowded on a weekday. We enjoyed the buffet very much! I had an amazing buffet lunch at the Le Buffet in The Parisian Macau. It has a wide selections of Western and Asian cuisines. And varieties of desserts. Fresh seafoods like prawns, mussels and clams were available during our lunch. I had an amazing buffet lunch at the Le Buffet in The Parisian Macau. It has a wide selections of Western and Asian cuisines. And varieties of desserts. Fresh seafoods like prawns, mussels and clams were available during our lunch. The buffet was good! Must try! Nearest if you staying at The Parisian. About 10mins walk if you come from The Venetian. Food varieties and qualities are good! The buffet was good! Must try! Nearest if you staying at The Parisian. About 10mins walk if you come from The Venetian. Food varieties and qualities are good! The Filipino staff especially ate Mayet was so helpful and very kind to us. The food was great. I love the egg tart and their pizza. Love everything about this restaurant. Great ambiance as well. The Filipino staff especially ate Mayet was so helpful and very kind to us. The food was great. I love the egg tart and their pizza. Love everything about this restaurant. Great ambiance as well. They let us in when we arrived at 12.40pm, even though the chosen time slot was 1pm. They sang a birthday song and brought a cake for my mum too. Good value buffet. They let us in when we arrived at 12.40pm, even though the chosen time slot was 1pm. They sang a birthday song and brought a cake for my mum too. Good value buffet.